In a world where most people are connected to the internet – a world in which WhatsApp, Facebook, Twitter, cell phones, email and video chats facilitate immediate, non-stop, interpersonal communication – one might be tempted to think the demand for conferences, conventions and personal interaction between colleagues is on the wane. In fact, what we are seeing is precisely the opposite. As the leading convention centre in Israel – and the entire Middle East – and a member of international organisations such as ICCA and AIPC, we at Jerusalem’s International Convention Center (ICC) have seen the industry’s rapid growth first-hand. Demand is increasing for professionally produced conferences, conventions and exhibitions. Today’s organisations are setting ever more rigorous standards, expecting the highest level of professionalism and creativity in planning their business events. Since its establishment, the ICC has consistently earned the respect of customers from around the world. As Israel’s official representative convention centre, the ICC is considered a national institution. But while our events always have a characteristically Israeli flavour, we make sure each one is unique and innovative, with a style that reflects the constantly changing times. Location is a decisive consideration when planning an international event. Israel is located at a historical crossroads, at the meeting point of key international trends and in the cradle of the world’s monotheistic religions. Israel’s heart is the city of Jerusalem, which is familiar to millions of people as a crucible of world culture and is holy to Christianity, Islam and Judaism. The ICC complex is located at the very gates of the city, astride its main geographic entry point. For decades, our location has served as a powerful magnet for conference organisers and participants alike. The excitement of being at the epicentre of world culture makes every event uniquely compelling. No convention in any western capital (impressive as they may be) can match the thrill of visiting the city of kings and prophets, where the adventures of King David and the passion of Jesus of Nazareth took place – a city whose very name is an indelible part of mankind’s spiritual heritage. Jerusalem arouses powerful feelings among conference guests. Naturally, most take advantage of their ICC event to visit the abundance of historical and religious sites, artistic venues and culinary institutions the city has to offer. 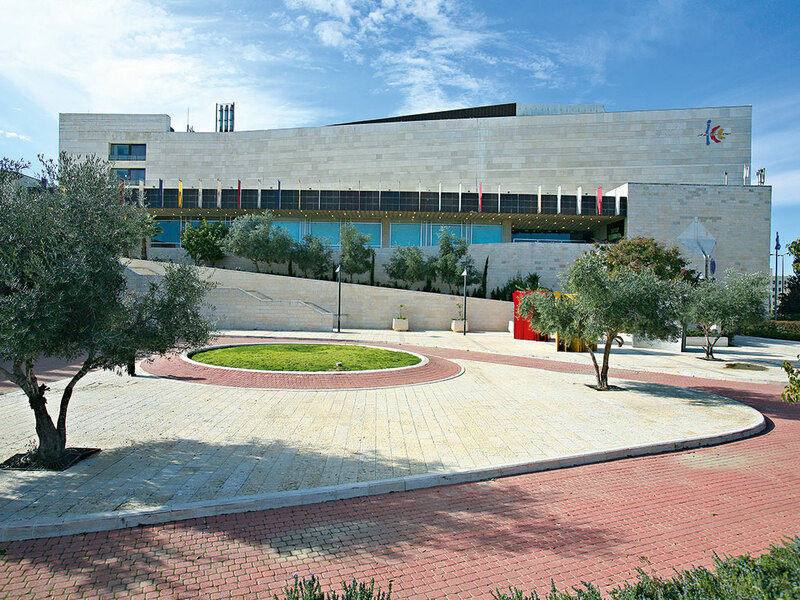 Since Jerusalem is one of the world’s most important and impressive destinations, the ICC endows any event with a uniquely festive aura and sense of prestige. True performance, however, requires more than just a good location. More than six decades of success point to the ICC’s outstanding level of service, wherein congresses, conferences and exhibitions are highly detailed productions that require precise coordination, planning and execution. What make it all come together is a uniquely talented professional management and staff with the highest level of expertise. 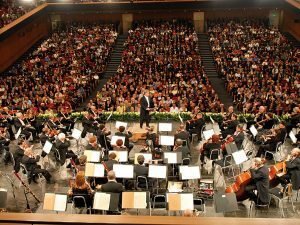 Producing a successful international event is a lot like conducting a philharmonic orchestra with dozens of musicians: everything must be organised and carried out with flawless accuracy. At the ICC, the staging, speakers, seating arrangements for the audience, integration of sound and video, splitting up into separate sessions, timing of meals, catering, refreshments, design, registration and reception of participants are all seamlessly coordinated. The greatest compliment we can – and often do – receive is praise for the quality professional staff members of the convention centre and their ability to make a hugely complex operation work together without a hitch. We adhere to the highest standards of efficiency and service. The events we organise are not ours, but our customers’, and the unwritten code that guides every action of every employee at the ICC is ‘the customer comes first’. Our staff force is always available, accessible, open and cooperative, endlessly patient and ready to serve with a smile. This is not just a mode of operation: it is our professional worldview, business strategy and way of life. Our mission is to ensure everything happens according to the plans and wishes of the customer. We remain single-mindedly dedicated to our customer’s vision, all the way through from the initial concept to the successful finale. All the customer has to do is enjoy the praise of their conference guests. At any given moment, the professional staff members of the ICC are working on the centre’s next event, preparing to transform another customer’s vision into reality. In addition to selecting the right international venue for a large-scale congress or conference, choices must be made about the nature of the event: will it be a fair or an exhibition, a political convention or an international festival, or a gala event? Here our two key advantages come into play: the ICC offers state-of-the-art facilities that can accommodate events of all types and sizes, along with a top-notch planning and development team with unparalleled experience in organising world-class events. The ICC contains no fewer than 27 physical spaces of different varieties and sizes. Our accessible parking facility is adjacent to the centre and has been designed to meet the needs of every type of event. Physical spaces include: a plenary auditorium, which is the largest and most advanced in the Middle East with a capacity of 3,000; the spacious Teddy Hall, a venue that has easily hosted a car show with room to spare; impressive lounges; elegant lobbies; conference rooms of varying dimensions that can be resized by splitting or joining them together; auditoria with glass ceilings; inner courtyards; and a large garden space at the rear of the building, which is uniquely suited to outdoor events for large numbers of participants. Over the years, the team at the ICC has organised the widest range of events imaginable. These have included the historic visit of President Barack Obama, who chose the ICC as a platform from which to address the Israeli people, and the visits of former US Secretary of State Henry Kissinger, former US President George Bush, former General Secretary of the Soviet Union Mikhail Gorbachev, and former UK Prime Minister Tony Blair. Furthermore, the ICC was always the venue of choice for the late Israeli President Shimon Peres. It has hosted the Eurovision Song Contest twice, and is the home of the annual International Bible Contest. But how does an institution with such experience and prestige continue to offer an attractive and relevant alternative, year after year? Mira Altman, ICC CEO, former Director General of Israel’s Ministry of Tourism and former Deputy Chair of Israel’s Hotel Association, explained: “We are fortunate to be located in a central hub of world culture. Israel, and Jerusalem in particular, are magnets for people from different countries and religions from around the world. But at the ICC, our professional drive does not permit us to rest on our laurels. “For more than six decades the ICC has been an internationally recognised industry leader in hosting conferences. A commitment to excellence guides each and every one of our employees. Whether the event is large scale, medium or small, we start by getting inside the customer’s head, by getting to know their needs and what they wants to achieve. We put the vast experience we have accumulated in planning and execution to work for them.